One set of stairs can be used as one area. Additional areas $29.95 per area. 300 square foot limit per area. Subject to minimum order. Carpet cleaning specials coupon valid with Fuzzy Wuzzy Rug Cleaning Co. Not valid with any other offer. Coupon void if altered. Expires 05/06/2019. Fuzzy Wuzzy Rug Cleaning Co. is the Northwest’s oldest and most trusted carpet cleaner since 1900, and we continue to be family owned and operated to this day. At our company, we not only are experts in wall to wall carpet cleaning, but we also specialize in the cleaning of Persian rugs, Oriental rugs, loose rugs and upholstery, along with providing fire and flood restoration. Our family and experienced staff work hard to protect the quality and appearance of your valued loose rugs, carpets, window coverings and upholstery. We strive to give all our customers the best quality cleaning experience...every day. Contact us today - we look forward to serving you! Fuzzy Wuzzy Rug Cleaning Co. has 9 Washington locations to serve you: Ballard, Edmonds, Lake City, Laurelhurst, Madison Park, Puyallup, Tacoma on Pearl St., Tacoma on N. Proctor St. and West Seattle. INCLUDES: (1) Only 100% environmentally safe products & methods. (2) Pre-cleaning inspection for spots, stains & areas of customer concerns to give you the best cleaning results. (3) Moving furniture. (4) High temperature steam cleaning & powerful extraction for a sanitizing & residue free cleaning with carpets dry within hours. (5) Post cleaning inspection. Enzyme deodorizer, Anti-soiling carpet stain protector treatment. INCLUDES: (1) Free pickup & delivery Mon-Sat or drop off at any of our 9 locations. (2) 1 week turnaround. (3) Pre-inspection of rug to determine best cleaning method. (4) Dusting. (5) Pre-treatment of spots & stains. (6) Gentle shampooing. (7) Fringes hand cleaned & brightened. (8) Final rinse to remove all soap & soiling. (9) Controlled drying. (10) Hand finishing & grooming pile & fringes. (11) Post cleaning inspection. (12) Rolled & packaged for transportation. Anti-soiling fabric protector treatment, Guaranteed pet odor removal, Custom cut area rug padding, Repairs - fringes, edge treatments & hand repairs, Packaging for long term storage. INCLUDES: (1) Pre-inspection of fabric to determine the best cleaning method. 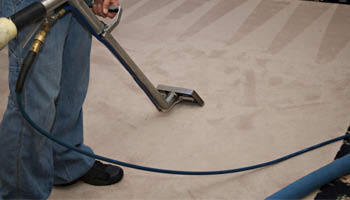 (2) Dry vacuum to remove loose soil. (3) Cleaned using our low moisture upholstery tool leaving your upholstery dry and ready to use within hours. (4) Post cleaning inspection. ADDITIONAL SERVICES: Enzyme deodorization, Fabric protection treatment. INCLUDES: (1) Free pick-up and delivery. (2) Take down and rehanging of drapes. (3) Pre-cleaning inspection. (4) Pre-spotting. (5) Cleaned, pressed, hemmed for straight parallel pleats. ADDITIONAL SERVICES: Drapery repairs, Storage, Re-stringing. WE PROVIDE: (1) Response within 1 hour of your call. (2) 24 hour phone assistance - no answering service; actual employees. RESTORATION SERVICES: Identify the source of the problem & determine what damages have been done, Important items can be cleaned & returned within 24 hours, Storage, Controlled structural drying, Water extraction, Mold prevention, Carpet cleaning, Content manipulation, All garments, Area rugs, Upholstery, Draperies, Ozoning.